These guys knew everything, quite refreshing since others did not have a clue. Enrique, technician, was absolutely the best! He was punctual, courteous, conscientious and very knowledgeable. He met every obstacle with expertise and dedication to job completion. The water dispenser on my 15-year-old KitchenAid Superba stopped working. I was connected with Paradise through the Whirlpool/KitchenAid Enrique communicated well before my appointment and showed up right on time. He was quick, tidy and solution oriented with a challenging repair and discontinued part. Water dispenser is working now. Pricing was fair. I highly recommend Enrique and Paradise. Enrique was great and was able to repair the lights in our refrigerator. I highly recommend him. He was not abler to resolve the problem and my wife couldn't find our paper work. I was not home. Great service, very competent repairman! 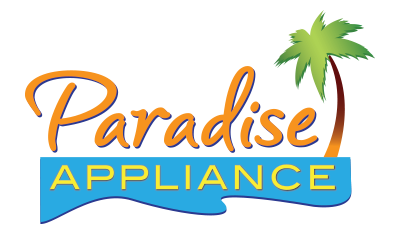 Paradise called day before to confirm service call. Received call next day from Mr Martinez 2 hours before scheduled time. Another customer canceled and was available to come earlier. He arrived on time 30 minutes later. Found and corrected the problem 45 minutes later. It was amazing that he had the part in the his truck and was able to complete the service call that day in an hour. Mr Martinez was on time, friendly and professional. This is the second great experience with Paradise. Fabulous work and very professional Will call again! Victor was amazing! He was polite, friendly, and good at his job. He not only fixed the issue he was called out for, but also one that I have been having for five years that I have struggled to get fixed. I would recommend his service and care to anyone. Chris was great and very helpful. Thank you very much. On hold long time when called in, otherwise excellent service. Reaoaur person veryoronptcouteous and competent. My washer stopped working mid cycle and leaked water all over. They came out fixed the leak, which cost almost $400. After a few loads, my washer stopped working again. The leak was corrected but my washer still wasn’t working. They came out again free of charge but then told me the pump was broken and it would cost another $300-$400 fix it. Even though it had only been two weeks since the initial repair. I’m so disappointed! DISHWASHER MAYTAG MDB8959SFZ4 "Broken tracks, replaced tracks and tested." DISHWASHER KITCHENAID KDTE334GPS0 "Door pops open during wash cycle, could not duplicate problem, replaced tracks due to rusting"
REFRIGERATOR FD WHIRLPOOL WRF555SDFZ08 "found bad harnes - wire , just replaced now its ok tested fine unit will be malking ice on 24hrs; pckd up 1 wpw10884720 (hasns-wire)"
DISHWASHER KITCHENAID KDTE204GPS0 "Water leaking on floor, unable to level due to no space on top counter, need master tech..; ordrng 1 W11165146 (console) and 1 W10909089 (lower seal,bottom) and 1 2ndmanMT (2nd man MT)"
REFRIGERATOR FD WHIRLPOOL WRF555SDFZ08 "found bad icemaker wire harness i call whirpool we troubleshouting and harness its bad , i call coast fontana they do have it , going to pick up tomorrow morning , i call whirpool and they gave sr#7724625953 . i will be at custumer home at 9.00am . ; schdld next appmnt for 4/16 TUE !" ICE MAKER KITCHENAID KUIC15POZP2 "Not making ice, found oper cuuting grid, replaced cutting grid and testedn working fine now..."
MICROWAVE OTR KITCHENAID KMHS120ESS4 "Found broken grill, customer stated it brok on last repair visit and claims warr, replaced the grill under warranty." DISHWASHER WHIRLPOOL WDT750SAHZ0 "Leaving dishes wet, not draining, cleaned filters, ran diagnostics, everything working fine ar this time, recommend to use rinse aid or JET DRY"
MICROWAVE OTR KITCHENAID KMHS120ESS4 "Found broken grill, customer stated was broken during last repair visit, will order and replace under warranty.wants am please; ordrng 1 w10701697 (grill)"
WASHER WHIRLPOOL WFW9HEFW02 Hlper complete. REFRIGERATOR AMANA ABB2222FEW1 "Not cooling, found unit not defrosting, replaced the defrost thermostat and main control board." DISHWASHER KITCHENAID KDTE204GPS0 "Not draining, found glass inside drain pumo, ordering sump and drain pump; ordrng 1 W11124384 (sump and motor) and 1 W10876537 (drain pump)"
REFRIGERATOR JENN-AIR JFC2089BEP01 "Frost in freezer, adjusted door gasket ans sealed gaps with silicone as per service pointer #W10758831B; used 1 W10841140 (ADHESIVE) from stock"
DISHWASHER KITCHENAID KDTM354DSS0 "Not drying top rack, ran diagnostics and all tests passed, found sods and water is hard, advice to use rince aid and run a complete cycle with white vinegar..."
REFRIGERATOR WHIRLPOOL WRF555SDFZ09 "installed new ice maker and still not working i check volts at main control and getting only 15 volts , i call whirpool tech support and we verify not volts coming to the icemaker they gave me sr#7724504658 mike talk me to replaced the main control electronic . ; ordrng 1 W11043763 (control elect) and 1 W10847849 (swtith), ordrd 1 W10882923 (icemaker)"
REFRIGERATOR WHIRLPOOL WRF555SDFZ09 "found icemaker not working , need the one come with all harness , i need to get it from local store , part number w10882923 sr#7724476905 . ; ordrng 1 W10882923 (icemaker)"
REFRIGERATOR KITCHENAID KRFC300EWH01 "Noisy, replaced the air damper control that was maing noise." REFRIGERATOR KITCHENAID KRSC503ESS00 "Still not defrosting in the refrigerator compartment, replaced same parts as before, I had to defrost big ball of ice. repaired unser warranty." REFRIGERATOR KITCHENAID KRFC300EWH01 "Noisy, ordering air damper control using KJED100APL1; ordrng 1 WPW10594329 (damper control)"
REFRIGERATOR AMANA ABB1924BRM00 "Not cooling at all, found low on freon, replaced the compressor and evaporator coil, recharged and tested, called for extra labor, AJC7M00ML2"
REFRIGERATOR AMANA ABB1924BRM00 "No freon at all, compressor was pre id but also need gthe evaporator coi., ordering evaporator coil and valve..; ordrng 1 wpw10317012 (evaporator) and 1 w10913906 (valve)"
WASHER MAYTAG MHW5100DW0 "found door gasket not aligned and allowing water to build up in front, repaired and aligned gasket with tub drain hoses, all test good." REFRIGERATOR JENN-AIR JB36NXFXRE01 "No ice making, activated bail arm and ice maker started to work, tested, working fine at this time..."
REFRIGERATOR AMANA ABB1924BRM01 "New just delivered, low on freon, compressor running but not compressing freon, need to order pars, customer wants unit replaced...called tech line #7724263973"
WASHER WHIRLPOOL WFW75HEFW0 "2/26/19 9:37: EC rspndd 2/26 TUE, unit was replaced"
REFRIGERATOR KITCHENAID KRSC503ESS00 "Still not defrosting in the refrigerator compartment, ordering same parts as prev repair under warr, ordering defost thermistor fan motor and main pcb...; ordrng 1 W10316760 (thermistor) and 1 W11098695 (fan motor) and 1 WPW10743957 (main pcb)"
DRYER WHIRLPOOL WGD86HEBC0 Customer complaint staining cloth : found bad door seals replaced it parts run diagnose test all components tested ok to manufactory specifics. REFRIGERATOR WHIRLPOOL WRF989SDAM01 "Customer stated dispenser does not stop dispensing at times, tested but could not duplicate problem, replaced main control board and user inteface boards as a kit, also replaced dispenser poad.."
REFRIGERATOR WHIRLPOOL WRF954CIHM00 "Reinstalled water filter, checked operation and reset water filter indicator.."
REFRIGERATOR KITCHENAID KBSN608ESS01 "Interior lights not illuminating, replaced three leds and tested, all lights working normal now.."
REFRIGERATOR JENN-AIR n/a "Noisy, unable to verify noise, could not duplicate problem, not installed correctly, customer need to reinstllin under cabinet.."
REFRIGERATOR WHIRLPOOL WRF989SDAM01 "Ice and water dispenser working intermittently, unable to duplicate the problem, called tech line, ordering board kit and pads; ordrng 1 w10861900 (kit) and 2 w10370592 (pads)s"